Note: This story is from 2013. The Linn County Sheriff is now Bruce Riley. LINN COUNTY, ORE. – “We didn’t think it’d get this kind of reaction…” But it did. 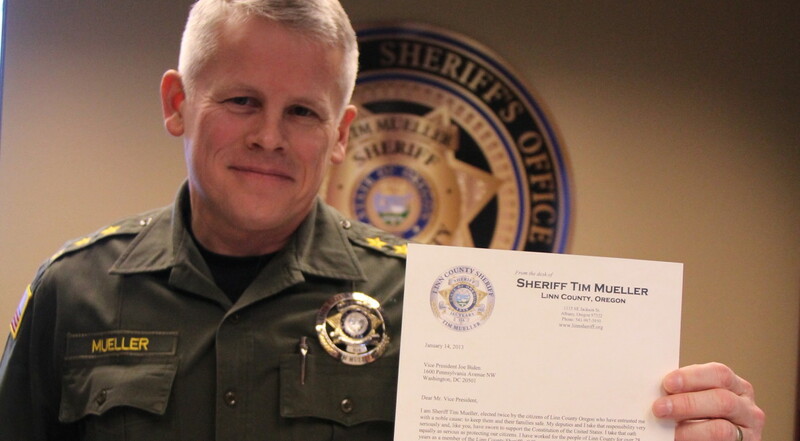 “Is it too late to stop it?” Linn County Sheriff Mueller asked detective and computer forensics investigator Mike Smith, shortly after uploading his now nationally shared letter. “Yeah, it’s way too late. It’s out,” said Smith. On Jan. 14, 2013, Mueller wrote a letter to Vice President Joe Biden telling him that he was not going to enforce President Barack Obama’s executive order “offending” the American people’s constitutional rights.